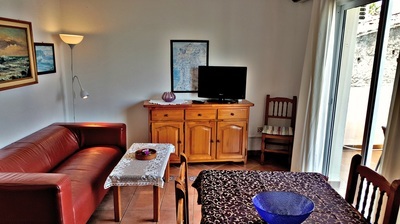 Our big family or small group apartment, respectively. 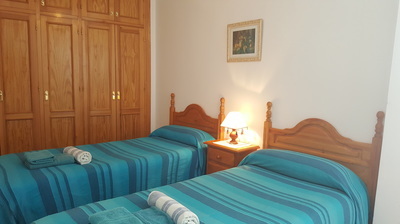 Here you find six beds in three sleeping rooms. 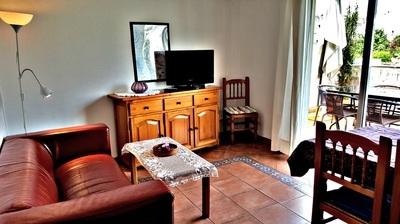 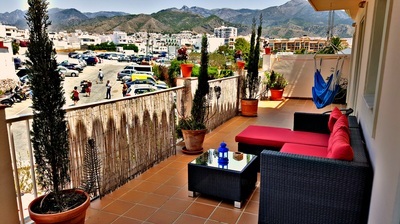 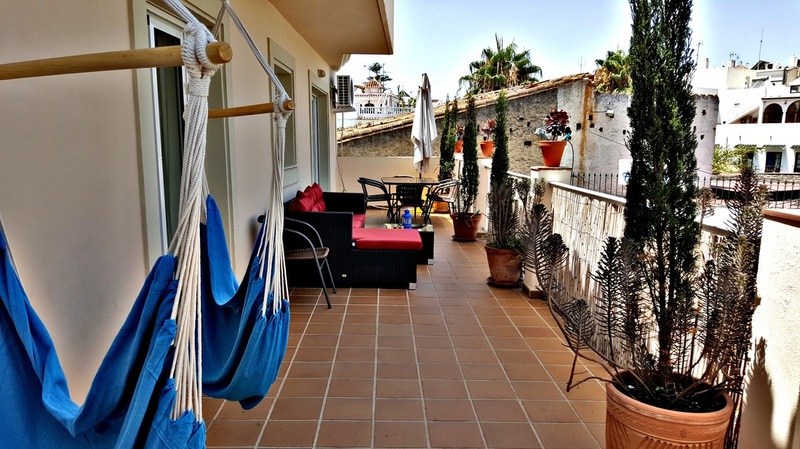 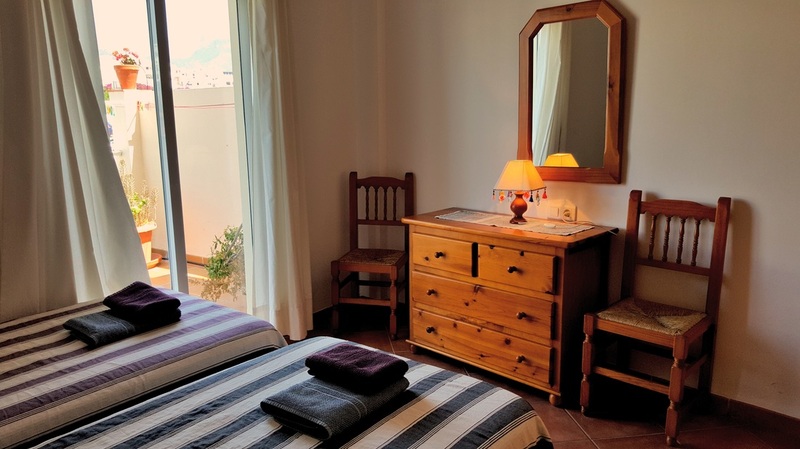 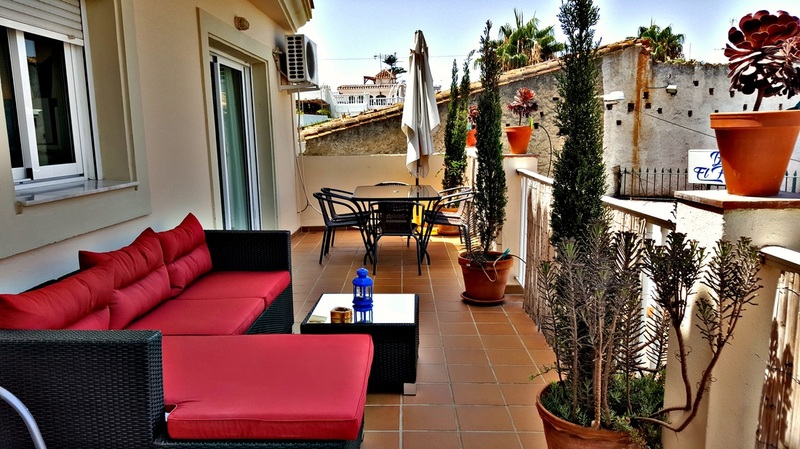 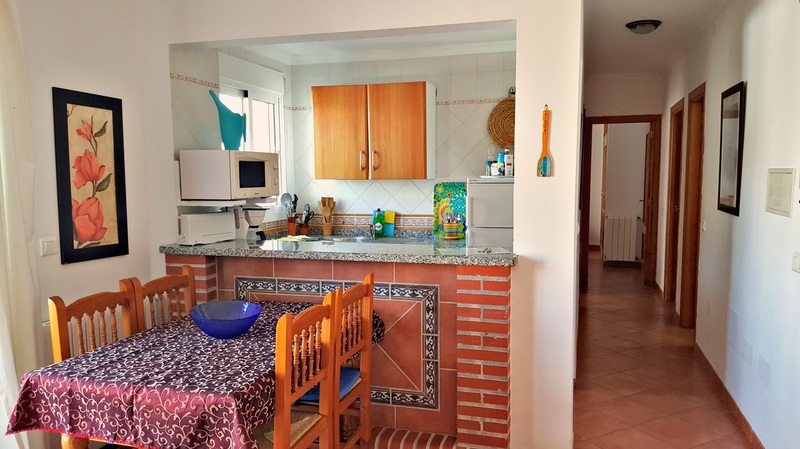 The apartment is in the first floor and features a very large terrace (40m²). Two sleeping rooms and the salon possess sliding doors towards the terrace, the third sleeping room faces the inner patio. 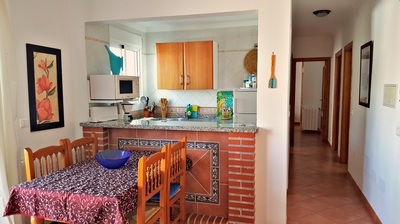 Open kitchen with bar, fully equipped with electric kettle, microwave, hot plates, toaster, coffee machine. 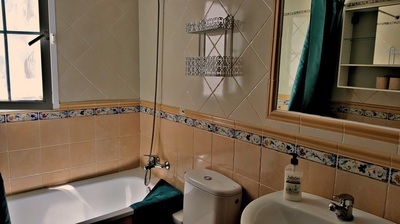 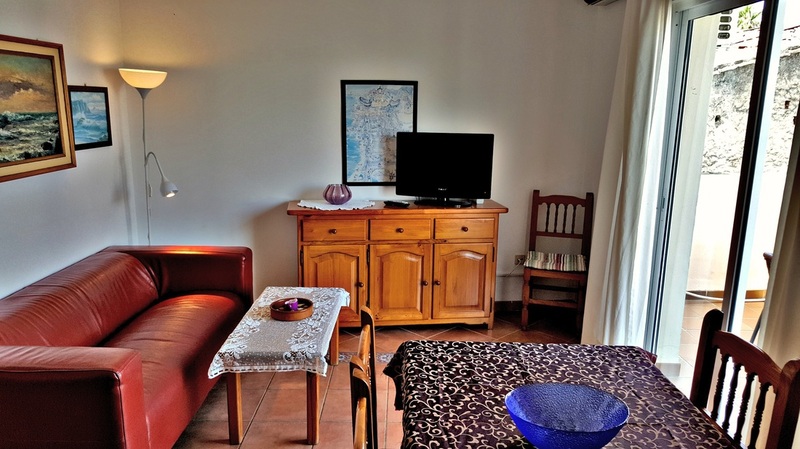 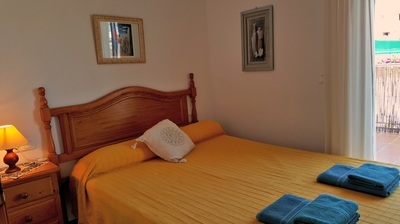 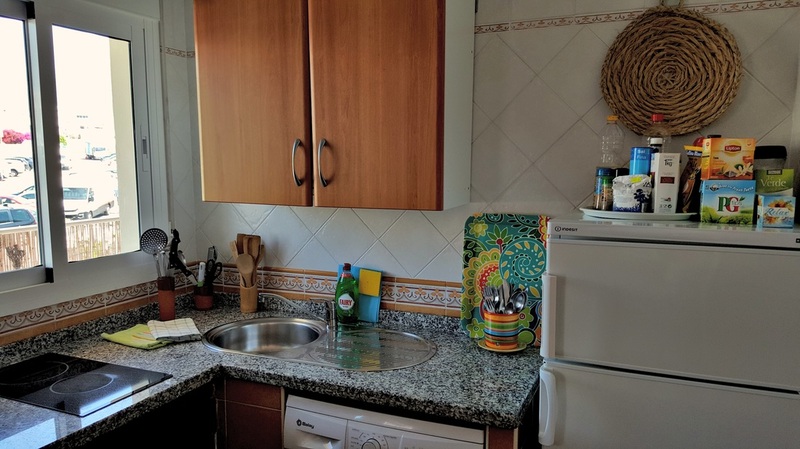 Apartment with A/C, heating elements in all rooms including the bath, international cable-TV (Flatscreen), eating table, washing machine, iron.